Picture of WIlliams's fumble in overtime. Over the past the past eight seasons for the San Francisco 49ers franchise they experienced all sorts of ways of losing; some big losses, some close ones, an occasional win, and well you know the rest. However this season for the San Francisco 49ers has been much different, much different in the fact that not only did they go 13-3, but they made the playoffs. Then to make it even better they made it out of the first round defeating the New Orleans Saints 36-32 and made it to the NFC Championship game with a chance to go to the Super Bowl. Then those chances would be even more alive as in overtime they would stop the New York Giants, giving them the ball back. Except, things went back to their old ways as punt returner, Kyle Williams would fumble the punt giving the ball back to the Giants and a ticket to the Super Bowl XLVI to New York as well. 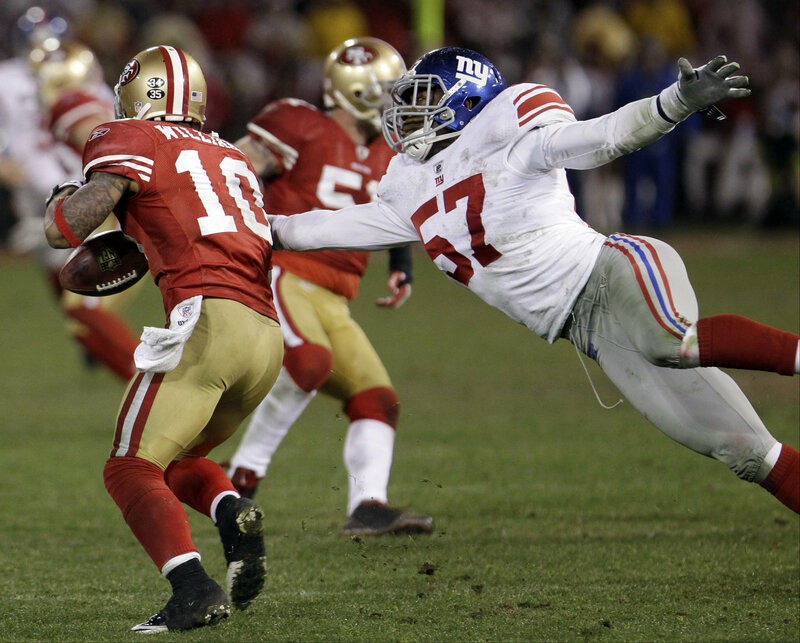 Hate was definitely something that 49ers fans would take from Williams’s response after the game as fans, spectators, and to whom ever they may concern sent tweets, letters, and even death threats to Kyle Williams due to both of his costly fumbles in both overtime as well as the one earlier in the fourth quarter. Even though it may be natural as Williams’s father, Kenny implied the question still comes up and that’s, is it right? Is it right, to threaten a man or woman’s life due to the fact that they made a wrong play or two. Now I understand that it was the NFC Championship game and that without those two fumbles the 49ers may have went to the Super Bowl, but threatening to kill Williams because of it? That’s just not right.